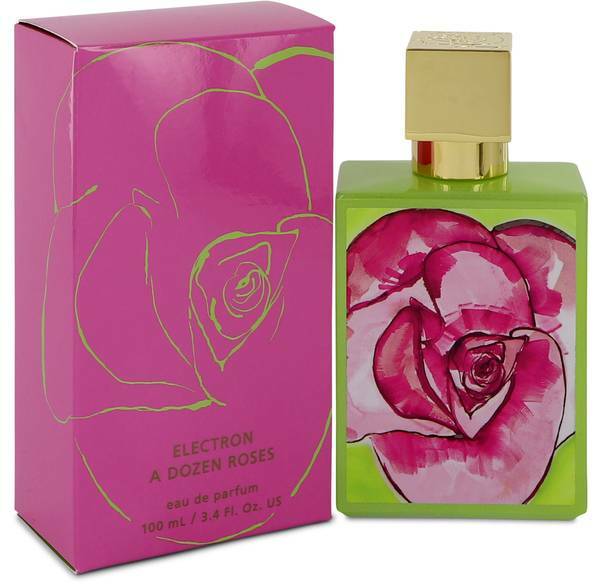 A Dozen Roses Electron Perfume by A Dozen Roses, A Dozen Roses Electron is a shock to the senses but in the best way possible . It combines the intoxicating scent of roses with fresh, ozonic accords to create a blend that is unlike most rose-based perfumes. The refreshing, lightly floral fragrance is best suited to daytime wear, particularly in the spring and summer months. The most prominent smell in the perfume is green tea, gently grassy with a little sweetness from a hint of flowers. Violet Read More Read More leaf is green and fresh with a slightly metallic undercurrent. Sandwiched in between is the unmistakable scent of rose, a heady floral that is feminine and romantic but is rendered lighter and fresher when combined with the other notes. Powdery, sophisticated orchid and rich, sensual musk give the fragrance dimension. This fragrance was released in 2012 by A Dozen Roses. The American fragrance company’s signature is the beautiful lacquered paintings on its bottles. All products are original, authentic name brands. We do not sell knockoffs or imitations.